My days are busy. Sometimes too busy to really get anything done. That alone though, doesn't keep me from crafting. Especially since we moved into our own place. Crafts keep me calm and happy. These are just a few crafts that I did, just messing around. The items you need are all the same. Bamboo sticks, glue gun, glue sticks, and a great idea of what you want to do. When my kids use the sink, there is always water left over. 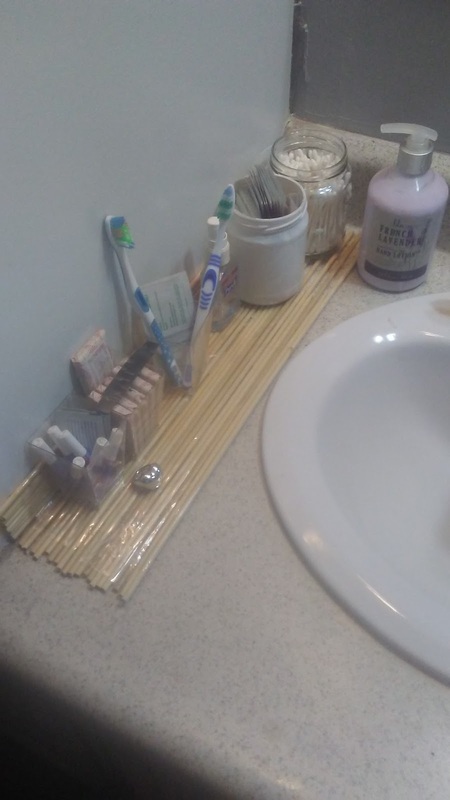 I got so sick of having to move everything and clean it up. 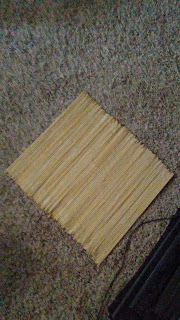 With this one, I chose different length sticks and glued them together. After that, I sat it on the bathroom counter and then sat everything on top of it. When I have to clean it, I just lift it all up at one time. This is a quick and easy craft to do. This one is done in the same way. 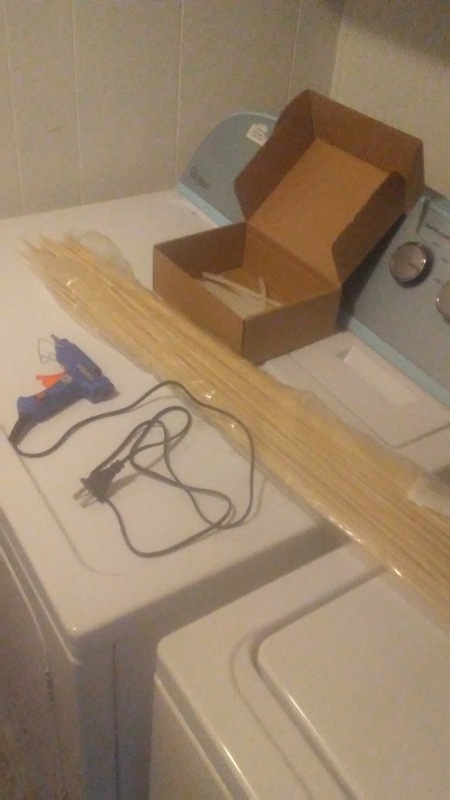 Just take the size sticks you want, and glue them flat. 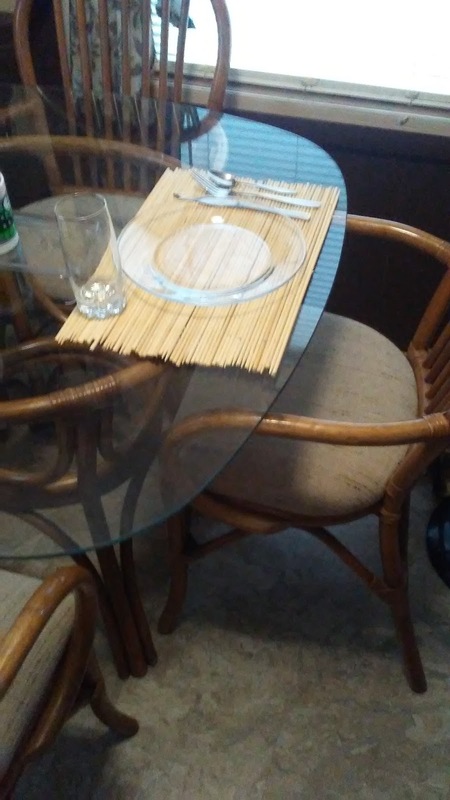 When you are done, just lay them on the table and set out your dinnerware on top. It brings a nice splash of color to my glass table. My favorite of these three crafts, is this one. 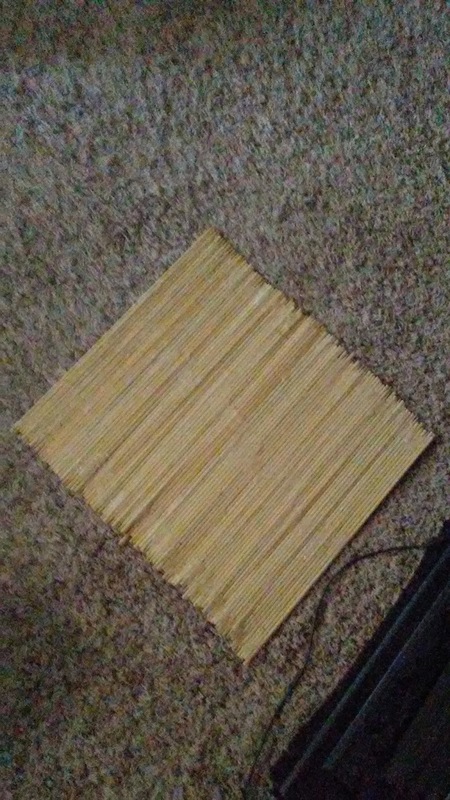 I doubled the size of a placemat and it now sits in the middle of my table. 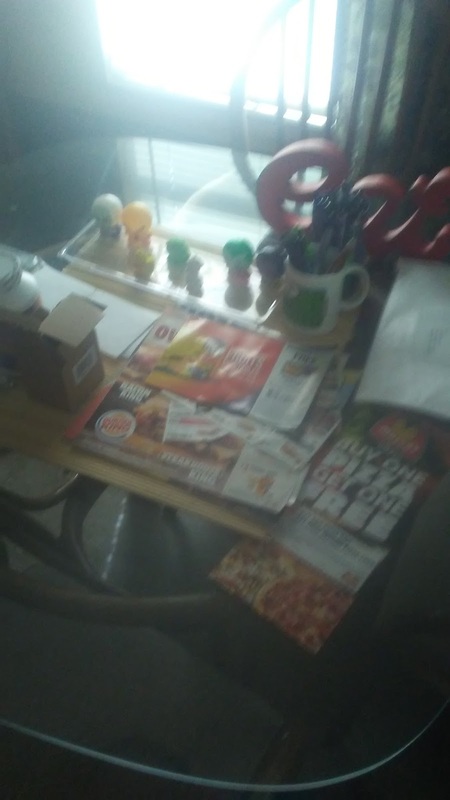 It turned into the spot I sit my flowers, the mail, or anything else that maybe you don't want to put directly on your table. These crafts like I said, are all super simple, but they really help people like me that don't have money to buy things like this and you want to improve the look of your kitchen. 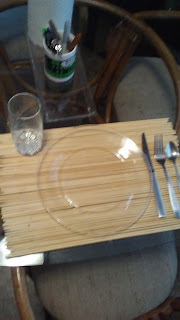 Thank you for reading and please let me know if you have any ideas for things I can do with my bamboo sticks.